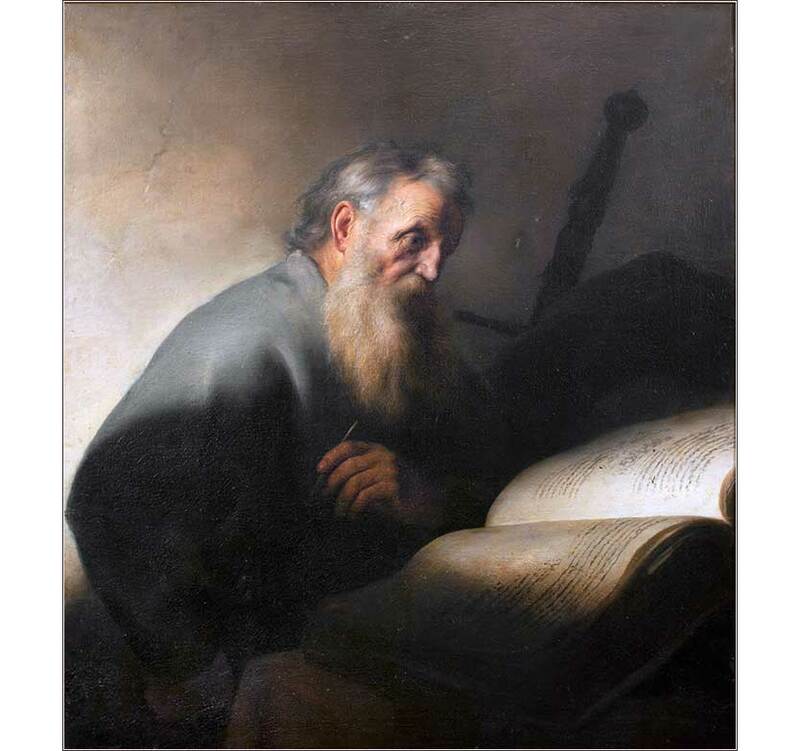 St. Paul Writing an Epistle by Jan Lievens, ca. 1627. A wonderful contemporary worship song, with a strong rock influence, from Third Day. For this we declare to you by a word from the Lord, that we who are alive, who are left until the coming of the Lord, will not precede those who have fallen asleep. For the Lord himself will descend from heaven with a cry of command, with the voice of an archangel, and with the sound of the trumpet of God. 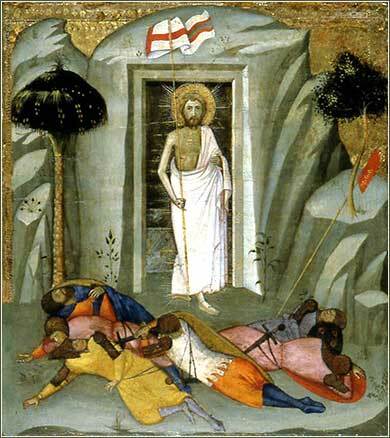 And the dead in Christ will rise first. Then we who are alive, who are left, will be caught up together with them in the clouds to meet the Lord in the air, and so we will always be with the Lord. . . . But you are not in darkness, brothers, for that day to surprise you like a thief. For you are all children of light, children of the day. We are not of the night or of the darkness. So then let us not sleep, as others do, but let us keep awake and be sober. 1 and 2 Thessalonians should be considered together, as they were written only a few months apart. They are unique in their timing. First, they might be Paul's first church epistles (even though they are last in order in the Bible), as they were written in the same period as Galatians, @ 51-52 A.D., while he was in Corinth. Second, they were written to the “youngest” church. Paul had started the church on Thessalonica only a few months earlier and had been forced to leave by persecution; so his teaching to them had been curtailed and they were new Christians, insecure in their faith, lacking a teacher, and constantly harassed and persecuted by both Greeks and Jews. The letters are short because they were written “on the fly”, to help a new church which needed immediate attention. The members of this church were less prone to trouble and strife than most. Where Paul gives them direction, it is exhortation and support, rather than correction or scolding. In fact, the Thessalonians were holding together well, in spite of persecution. Paul praises them for their strength and, really, practically apologizes for leaving them (although he had no choice). If we read through the Bible books in order, some of the early chapters in these books seem like perfunctory recitations of ideas more fully explored in previous books; but that is backwards, since these are the earliest books in time. These are not lesser ghosts of themes more fully developed in earlier epistles, but rather Paul's first efforts to expound important themes that were developed and extended later on. So we see, for example, shorter exposition of his teachings on the certainty of faith in Christ; steadfastness during tribulation; Christian living, especially avoiding immorality and living as an example; explanation of Paul's own ministry; his prayers and affection for them; and the importance of mutual love and accord among Christians. The unique content in 1 Thess. is information on eschatology, i.e. what will happen when Christ returns. The Thessalonians somehow were left with the impression that Christ would return any day, to transport the living to heaven. But as time went by and some of their family and friends began to die, they became quite concerned that the dead would be left behind. In today's Scripture, Paul corrects their misunderstanding, and as a by-product, instructs Christians for all times about how the last days will occur. He then admonishes them, and us, to always walk in the light; for we do not know when Christ will return, and his return will be sudden. So we must always keep ourselves ready for Him and not let our faith “sleep”. That is, we must practice and walk in our faith every day. Psalm 37:8 (NKJV): Cease from anger, and forsake wrath; Do not fret — it only causes harm.